Clarins Have Just released an eyeshadow palette which will rival urban decay’s Naked Palette and I have to say I am so far very impressed. 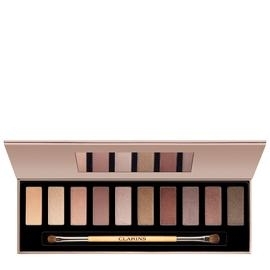 I have used the Naked Palette so much I am on my 2nd one in my Kit. This palette was created as part of an initiative to minimise our environmental impact: it features carefully selected materials and reusable packaging.